Home > Close Up > 20 for REAL?! This veteran runner has taken part in the HomeTeamNS REAL® (Regular Exercise, Active Lifestyle) Run 20 times and taking part in marathons has buoyed up Kalaichelvan Ramachandran for decades – neither age nor injury can deter him from running! At 53, Kalaichelvan Ramachandran (in blue) has clocked countless miles – across tarmac, sand and trail – and the finish line is still nowhere in sight. The avid long-distance runner started out competing in cross-country races as a secondary school student, and continued taking part in marathons while he was enlisted in the army. Decades on, he is still hitting the running trails. Balancing his work and family time with training entails careful planning, but the father of three manages to complete about 10 races a year. While he works full time at a freight forwarding company, he maintains his form by training during the weekends. 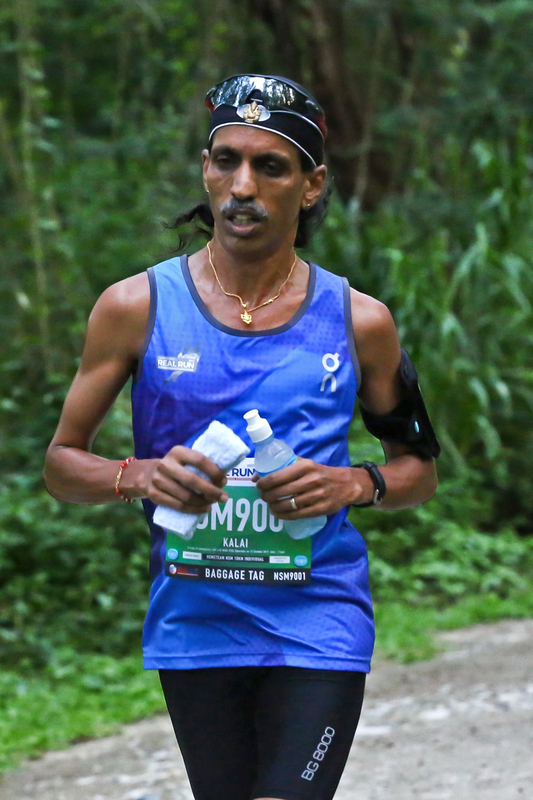 From overseas races in Penang and Kuala Lumpur, to charity runs like the Yellow Ribbon Prison Run and the Singapore Cancer Society Race Against Cancer, Kalaichelvan’s track record reads like that of a seasoned athlete’s. One of his favourite local runs, which he has participated in 20 times, is the HomeTeamNS REAL® Run. Kalaichelvan cites the great rapport between contestants as one of its draws. “I enjoy the camaraderie and diversity of the event. A group of us participants, including Malays, Chinese and two Filipino domestic helpers, usually meet for breakfast before the run,” he shares. He also has fond memories of the edition of the race that was held at Changi. 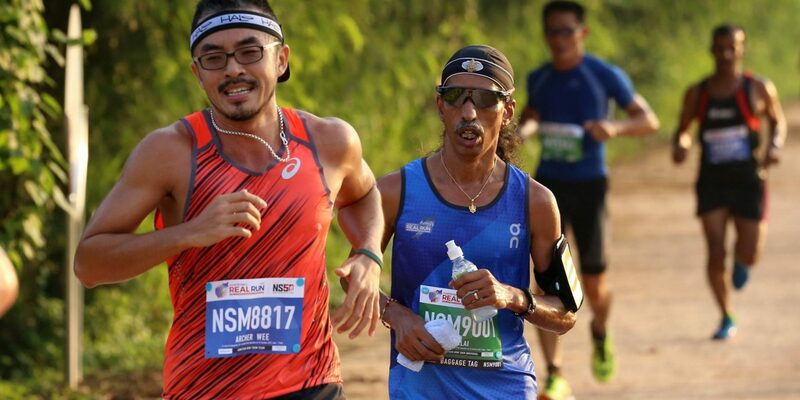 “Parts of the run, which took place along Changi Coastal Road, were challenging. We had to traverse a long tarmac road under the hot sun, but that’s the beauty of it. There were students from Saint Joseph’s Institution who showed up to cheer us on, which was really motivating,” says Kalaichelvan. Like many long-distance runners, he has faced his share of bumps along the road, including a slipped disc in 2010 that scuppered his plans to take part in races. Though the injury put him out of action for a year, Kalaichelvan took the time to fully recover. He returned to the running circuit with a new philosophy. “These days, I’m not so much focused on my race timing as I am on completing the run,” he shares. The tenacious athlete sees many more races ahead of him. “Running has enriched my life. It helps relieve me of work stress, and has improved my health,” he shares. So passionate is he about running that he has inspired his children, the oldest of whom is 21 this year, to take part in marathons with him. But running, he says, is not just for the young and fit. Those over the age of 40 can enjoy the sport too. “Make sure you have a good pair of shoes with the right cushioning and always listen to your body when it tells you to rest,” he advises.